Carrie Fisher, the actress who played Princess Leia in “Star Wars,” died just days after reportedly suffering a heart attack. She was 60 years old. Her mother, actress Debbie Reynolds, issued a statement on Facebook. She suffered a heart attack while on a Los Angeles-bound flight about 15 minutes before landing. A medic on the plane performed CPR on her before landing. Then, paramedics arrived and took her to the UCLA Medical Center—where she was placed on a ventilator. 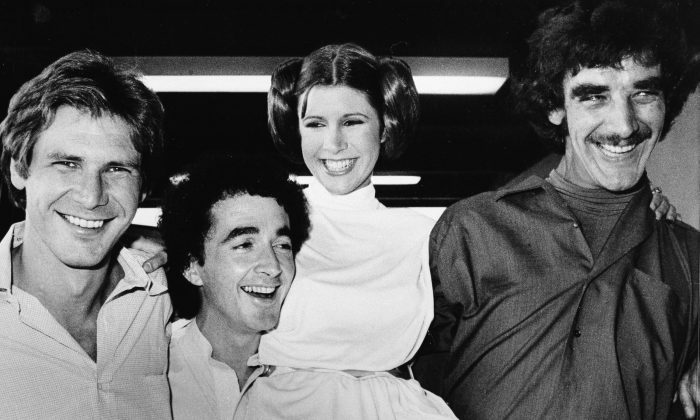 The daughter of actress Debbie Reynolds and singer Eddie Fisher, she made her film debut in 1975’s “Shampoo” before her major breakout role as Leia in the first three “Star Wars” movies. Fisher is survived by her daughter, Billie Lourd, mother Debbie Reynolds, brother Todd Fisher, and half-sisters Joely Fisher and Tricia Leigh Fisher.